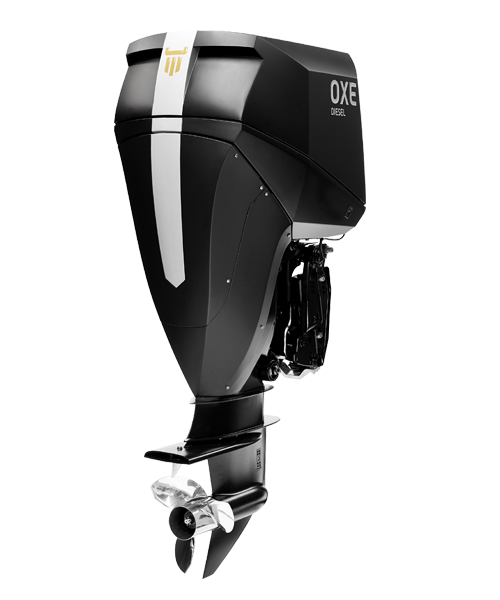 OXE is the world’s first high performance diesel outboard setting new standards for durability, fuel-efficiency, and low emissions for an outboard engine. The OXE Diesel Outboard fulfills the NATO “single-fuel” directive and is an ideal solution for naval, military, rescue, and commercial applications. Cimco Marine AB has developed the OXE Diesel, a Self-contained Belt Propulsor Unit (S-BPU). The OXE is based on a commercial automotive diesel engine and the unique patented BPU technology which enables high torque transfer to the propeller. The belt drive eliminates bevel gears and vertical shafts allowing for a streamlined housing below the waterline giving less drag. Production units NOW AVAILABLE in Seattle!